Detson Security provides office security systems designed specifically for your home. Security systems that keep your home and family safe. Complete Protection for your Home. Entry Point Notification Contact Detson Security. 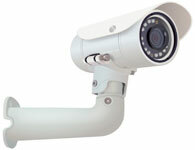 Detson Security provides video surveillance coverage that is expandable for your property. High quality video images that protect your assets, lower your liability, and improve general safety. Detson Security helps you control who comes in and who goes out. You decide who and what access you would like to grant to your home. Detson Security helps you identify your family and vistors before your grant entry.